Tony Sheridan, an early supporter of The Beatles, has died aged 72. During their early days as the Silver Beatles in Hamburg in the 1960s, they performed as Tony Sheridan’s backing band. Described as a catalyst in the Beatles’ rise to fame, they played on Tony Sheridan’s recording of My Bonnie. After being spotted by producer Bert Kaempfert, it was their first studio session for Polydor as The Beat Brothers in June 1961. Later that year, teenage fan Raymond Jones requested the song in Brian Epstein’s record store. Brian Epstein promised to order it and later became the Beatles’ manager, whom many still regard as the “fifth Beatle”. Returning to Germany in 1961, the young Beatles and Tony Sheridan continued their collaboration and – at Bert Kaempfert’s instigation – recorded seven tracks. A 1962 show at the Star Club in Hamburg, where the Liverpool band played many of their early shows, was a watershed performance – featuring Ringo Starr on drums – and helped catapult the Beatles to fame. 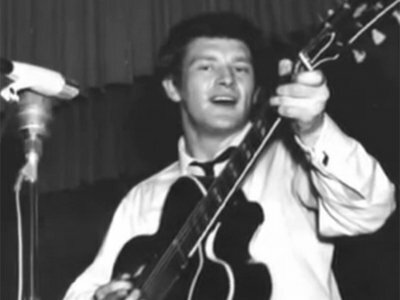 According to reports in the German media, Tony Sheridan died on Saturday February 16 following a long illness. In the early 1960s, the singer-songwriter toured with rock ‘n roll pioneers Gene Vincent and Eddie Cochran. Tony Sheridan had German Top 10 singles Let’s Slop and Skinny Minnie and with the Fab Four’s early commercial success, My Bonnie charted in both Britain and the US. During his later years, Tony Sheridan lived with his third wife, Anna Sievers, in a farm house in the north of Germany. She died of cancer in 2011.